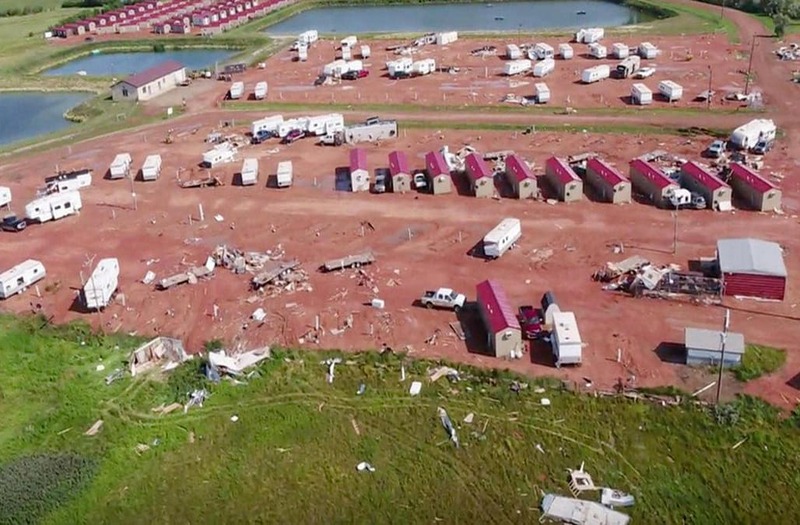 A newborn baby was killed and more than two dozen people were injured after a tornado ripped through an RV park in Watford City, North Dakota, on Tuesday. At least 28 people were injured — nine of them critically — in the disaster. McKenzie County Sheriff Gary Schwartzenberger told the Bismarck Tribune on Tuesday night that a one-week-old boy, whose name has not been released, had died after sustaining injuries when his family’s trailer flipped over during the storm. The tornado, which reportedly had wind speeds that reached 127 miles per hour, made landfall in Prairie View RV Park after midnight on Tuesday, wreaking havoc. More than 120 structures at the RV park and its surroundings were destroyed, and about 200 people have been displaced, emergency workers said.